Customized delivery engineered to meet your needs from drums & tote bins to mini & small bulk deliveries. Coyne Environmental continually provides customers the appropriate chemical solutions to improve production and maintain supply. In addition to understanding the characteristics of the chemical ingredients we offer, we also provide a variety of packaging and delivery options to best meet your individual needs. With product handling concerns under constant scrutiny and residual product and package disposal becoming more difficult, we have expanded our CHOICES program to include many of our products into mini and small bulk delivery program, as well as bulk. Tank capacities are available from 100 to 5,600 gallons. 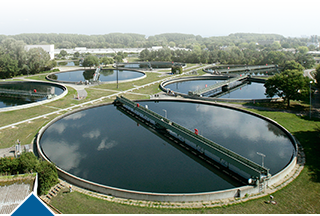 Coyne Environmental Services is the supplier of choice for many of the most prominent customers in the potable & process water, wastewater, and groundwater & soil remediation treatment industries due to our product selection and delivery flexibility. Please contact us for additional information about our CHOICES Program and ask us how we can help you deliver better results for all your treatment needs.